Considering biological dentistry near Stuart, VA? Here’s what you need to know. The health of your mouth and your entire body is closely connected. For this reason, it’s important to seek dental care from a provider who truly understands this close oral systemic connection. At Virtue Dental Care, our entire philosophy of care is because any procedure we perform, and any materials used can and will impact overall wellness. If you are near Stuart, VA and have been researching biological dentistry and the oral systemic connection, we invite you to call our office and ask any member of our team the importance of this type of dental care. Many adults will experience gum disease at some point in their lives, and often never know they had it. The earliest stage of the disease is called gingivitis and it produces symptoms such as bleeding while brushing, chronic bad breath, and swollen/red gum tissue. Many cases of early gum disease resolve, either with an improvement in oral hygiene or through professional dental cleanings. However, when the condition progresses it can become a much more serious infection. Advanced periodontal disease must be addressed through more advanced treatment options including dental care, medications such as antibiotics, and restorations for tooth, gum tissue, and bone loss. In addition to these oral health problems, the infection may travel to other areas of the body. One of the ways biological dentistry can help is through patient education and prevention. Gum disease is largely preventable through good oral hygiene and routine dental care. We establish a strong relationship with our patients that encourages them to be proactive about their oral health which translates to overall wellness. Another way is using holistic treatment options. We use dental ozone therapy which is a very effective way to remove bacteria from deep within the periodontal pockets to improve health and healing. Just like an infection such as periodontal disease can travel through the body and impact health, so can the effects of the materials used in dental procedures. As such, we take special care to ensure that all our materials and devices are safe for the body. This means we do not place amalgam fillings, we provide safe removal services of these fillings, and we provide other metal-free restorations such as composite resin fillings, and ceramic crowns, inlays and onlays. Before mapping out any sort of treatment plan, we always consider how the procedures and materials could impact the entire body and strive to always use the most conservative methods available to us. Their goal is to educate. 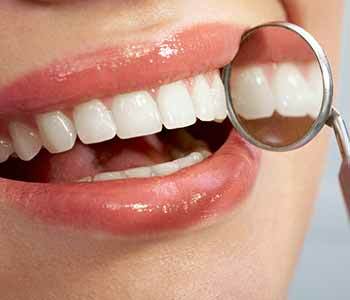 Biological dentists are passionate about the mouth-body connection and are happy to share any information they have to improve total wellness. This includes recommendations about products to use at home, and certain products to avoid. They default to conservative, minimally invasive treatments. Biological dentists are not around to just drill and fill, they are advocates for preserving natural tooth structure and using safe technologies such as ozone therapy, laser therapy and CEREC technology. They are mercury-safe and mercury-free. Not only do biological dentists avoid the use of amalgam fillings containing mercury, the also offer the safe removal of these fillings following the guidelines by the IAOMT. To learn more about how biological dental care from Virtue Dental Care can improve your health, call us today at 336-606-0040. Home » Considering biological dentistry near Stuart, VA? Here’s what you need to know.